Wiring extension loom for remote compressor mounting. 4 x right angled brackets and screws. Constructed to resist vibration. 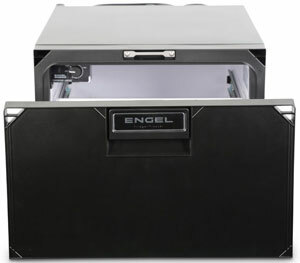 The Engel drawer fridge features an auto switching 12-24 volt DC, battery monitoring and a stainless steel runners. 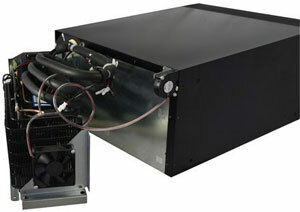 Powered by Engel’s latest horizontal RC40 compressor, it can Refrigerates or Freezes down to 14°F or -10°C.